Help Us Build Healthy Communities and Join Us on April 6th for Move to Give! On April 6th, the YMCA of Simcoe/Muskoka will host its fifth annual fundraising event, MOVE TO GIVE, taking place simultaneously across our region in Barrie, Collingwood, Gravenhurst, Innisfil, Midland, Orillia, Parry Sound and Wasaga Beach. 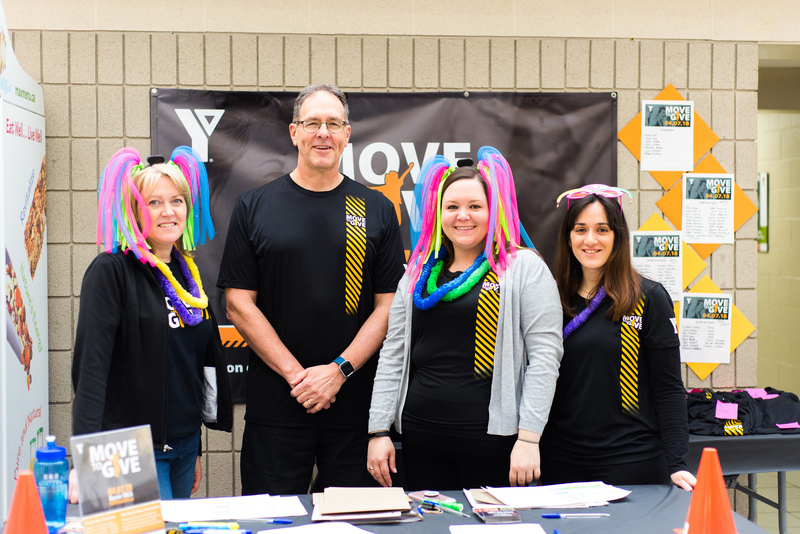 To kick-start this massive fundraiser, 76 YMCA child care and school age programs across Simcoe/Muskoka hosted an event on Wednesday, March 6th. Children and their families collected “change to make change” and took part in activities that had them moving and grooving. The event raised over $30,000 towards the overall Move to Give goal of $100,000. To keep this momentum going, we’re asking our community to join the more than 1,300 people across Simcoe/Muskoka who came out last year to raise funds to help provide over 15,000 people with access to YMCA programs! At the Y, we continually assess the needs of families in our communities to understand how to serve them best through our programs and services including health, fitness and recreation programs, rehabilitation programs, education, child care, employment and training programs, camp and outdoor skills, leadership, volunteer development, and immigrant services. The goal of this tremendous fundraising event is to make sure everyone in our community has equal opportunity to live a healthy lifestyle. This means more than being physically fit. It also means having the opportunity to work, socialize, learn, and contribute to one’s community. Over the past four years Move to Give has raised more than $380,000 and brought together thousands of people across Simcoe/Muskoka – all working towards achieving the same goal – building healthier communities. Without this incredible support, we would not be able to provide our members in need with the over 1 million dollars in financial assistance each year. To encourage families to come out and be active together on April 6th, we’re offering activities for all ages. From running or walking 5km to massive indoor cycling sessions, triathlon, swimming challenges, fire truck pull and more — participants will have the opportunity to challenge themselves physically while at the same time, give back to their community and have fun! We hope you’ll join us on April 6th to help raise money for this important cause. For complete schedules of what’s happening in each community, and to register for events, please visit www.movetogive.ca.